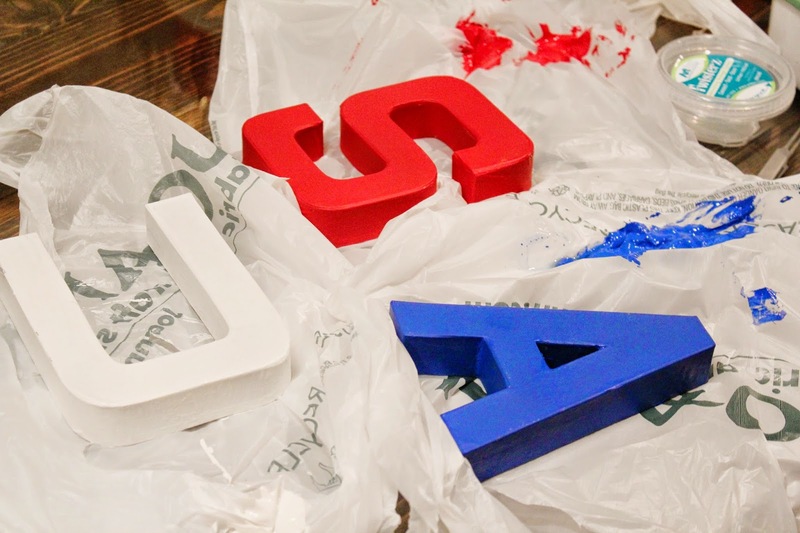 I have been painting paper mache letters for a Fourth of July project. I am going to glitter these babies up and then add them to my mantle for a little July 4th decor. Its not even June yet and I am already getting July 4th decor ready. Do you decorate for the holidays?